7/16/10–The leak is stopped, but there will still be some time before it is known if this will be the final fix. 7/16/10–Here is how the capping of the leak is seen in the U.K.
7/16/10—The test cap is working so far, but the government is not yet convinced. This is as of 6 PM central time. The Houston Chronicle has a web page with all the ongoing coverage of the spill. Here is oil spill coverage from the great liberal magazine Mother Jones. 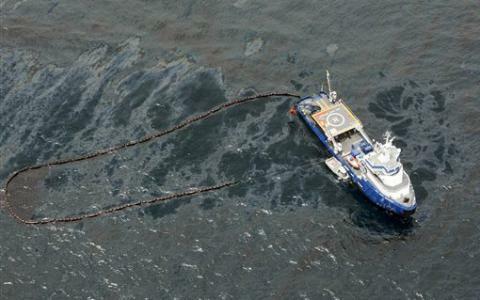 Here is the C-Span oil spill page with many video clips and links. Here is the USA Today page on the spill. The National Oceanic and Atmospheric Administration has daily updates on the disaster. The University of Georgia Department of Marine Sciences has a blog on the spill. Blogger’s Note—This post has been newly organized and is now being updated at this link. Please visit the new post and thank you for reading Texas Liberal. 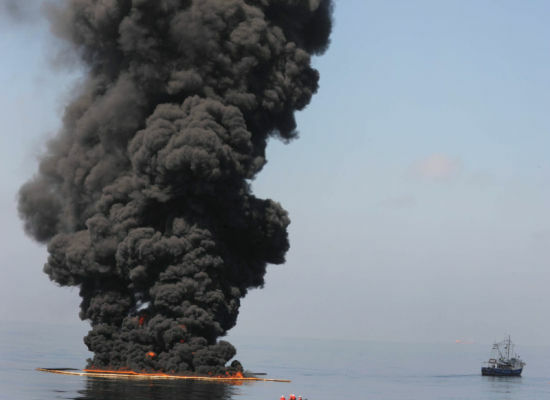 Here is a blog post with facts and updates on the BP/Transocean Gulf of Mexico oil spill. This June 24 article asks if BP is also drilling risky wells in Alaska. This June 23 report says that the judge who overturned President Obama’s drilling ban owns shares in the oil industry. Here is a June 21 story about the health impact of the spill. Q: Has anyone gotten sick from the oil spilled in the Gulf? A: Yes, there have been reports of illnesses, but relatively few among people not involved in the spill cleanup. Most of the reported illnesses were related to odors or fumes. Almost all were mild and temporary, and many were in early May, within the first few weeks of the April 20 explosion. The reports are based on a doctor’s assessment, not on lab testing. All but 35 of the 109 spill-related illnesses in Louisiana have been workers; Alabama has 27 reports of illnesses, and Florida and Mississippi have had none. This June 18 NY Times story is about how President Obama, in getting BP to pay, is restoring some balance in the relationship between multi-national corporations and average folks. This June 11 NY Times column says that it is not enough to boycott BP stations of you want to hurt BP. What you would really have to do is use less oil. Here is information on filing a claim with BP if you have been impacted by the spill. 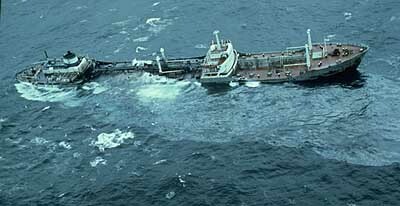 With the spill now said to be bigger than the Exxon Valdez disaster, here are many facts about the Exxon Valdez. Here is a list of four environmental disasters worse than the Deepwater Horizon spill. 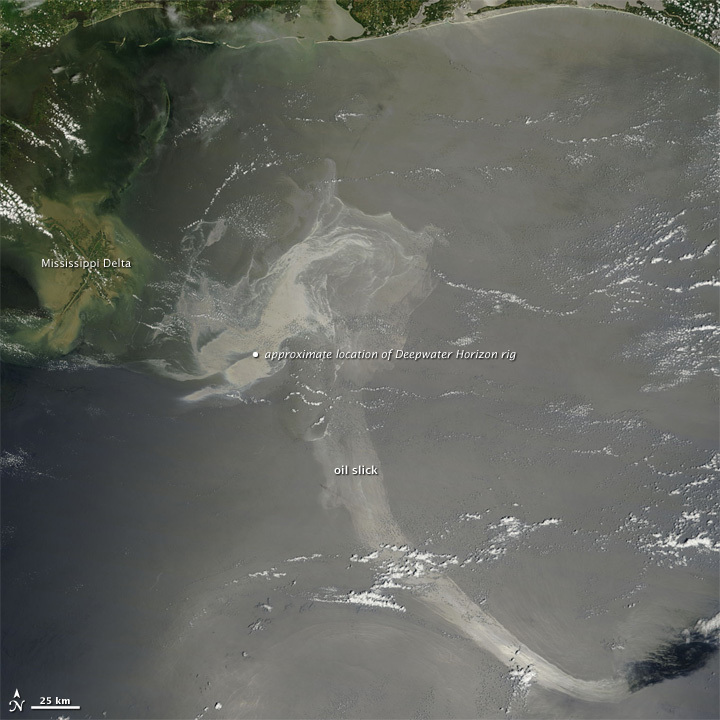 The spill has impacted Native Americans living in Louisiana. Native Americans in Louisiana have long felt screwed-over by oil companies. Here is a report on a question many have wondered about—With all this oil in the Gulf, what will happen if there is a big hurricane? 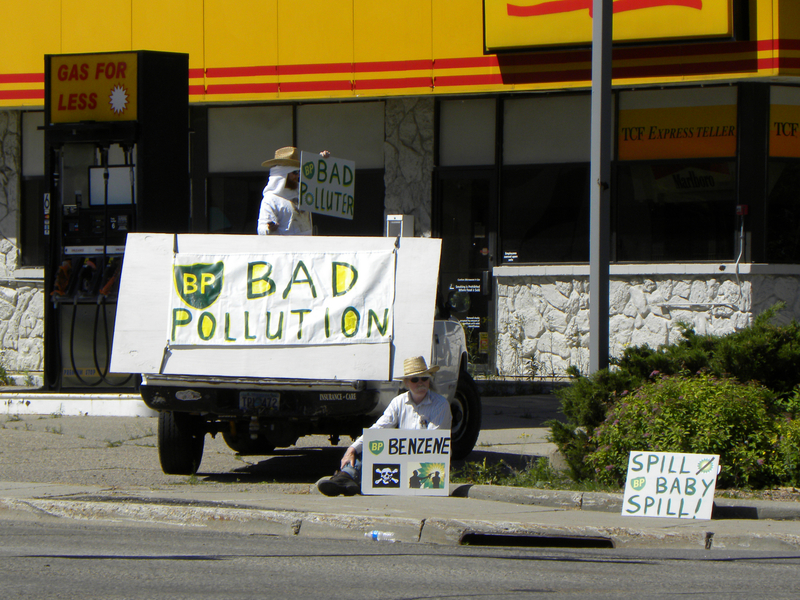 Here is the BP blog on the spill response. BP has had spills and safety issues in the past. Hurricane season does not start for a month, yet here is a threat moving towards the Gulf coast. Here are facts about the Mississippi River Delta from the National Wetlands Research Center of the United States Geological Survey. Here is an essay from the Nature Conservancy about Gulf Coast prairies and marshes. This is an area that may be hit by the advancing oil. Here is the web home of the Louisiana Shrimp Association. This are folks who want to be able to go out and fish for shrimp and who want you to be willing to buy shrimp. Greenpeace has questions about what is taking place in the Gulf. Here is a BBC map of how the oil has spread since the initial explosion. Here the web page of WKRG-TV in New Orleans. WKRG has a running meter of the estimated oil that has gone into the ocean. Here is the White House blog on the disaster. The U.S. Coast Guard has a useful site with plenty of facts and pictures. Burning the oil to make it go away is part of the response to the spill. Here is an article from the Mobile Press-Regster about what burning could accomplish and expressing the view that the burning should have started earlier than it did. 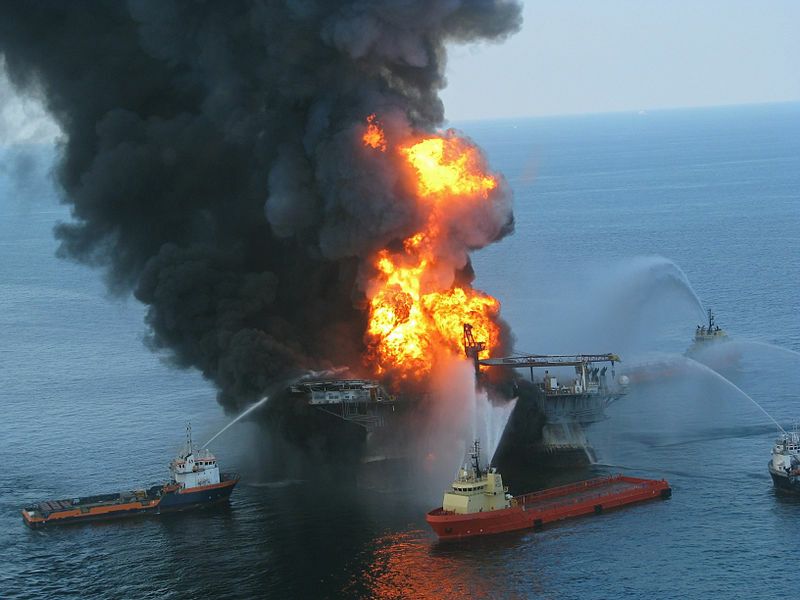 The spill began when an offshore oil rig exploded and sank. 11 people were killed in this disaster. The name of the rig was the Deepwater Horizon rig. The rig was leased by BP. This Huffington Post article asserting that BP has resisted rig safety regulations, takes a somewhat different approach to the spill than does BP. The firm that owned the rig was Transocean. Here is the statement by Transocean about the explosion. There is a joint response web site which is being run by the both the companies and the federal agencies involved in cleaning up the oil. There is a lot of information at this site. Here is a law firm that would like to file a suit on your behalf if you feel you’ve been impacted by the spill. It seems that this firm specializes in such cases. Here are useful facts about oil spills and impact of oil spills on animals as prepared in 2002 by the Novi Meadows Elementary school in Novi, Michigan. The Independent newspaper in the U.K has an article abut the potential loss of marine life in the Gulf from this large spill. The Gulf of Mexico Foundation has many facts about the Gulf and about groups that advocate for the Gulf. 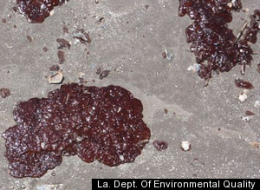 While it is clear enough that an oil spill is bad for the marine environment, the effects of oil in ocean are specific beyond the basic fact that such a spill is bad. The web site Green living tips, written in Australia, has some of the specifics on the harmful impacts of an oil spill. 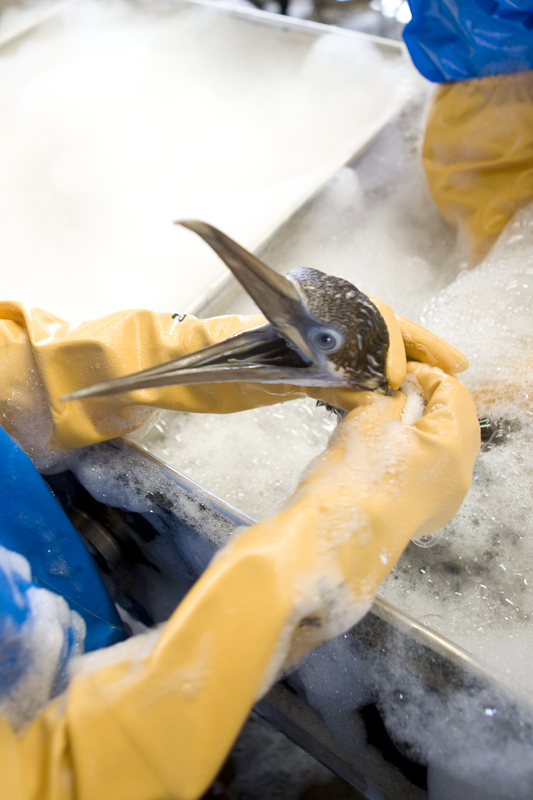 The National Institutes of Health has an excellent web page of resources to learn about the effect of oil spills. (Update 6/6/10–-Some are saying that BP in North America should be placed under temporary government control until this matter is resolved. Here is a picture gallery of major oil spills from the National Oceanic and Atmospheric Administration. Here is a list of the ten biggest oil spills ever. Here is a Miami Herald Story from May 24 discussing oil spills that were as large or maybe even larger than the one we are seeing today. While many look to learn about an issue when there is a big story in the news, it is always the right time to learn. Here are some very useful facts on just what exactly oil is from the San Joaquin Geological Society. Here is a list of the some of the things that oil is used for in our world. Here is what is like to work on an offshore rig. Here is the blog of the Louisiana Environmental Action Network. Here is the live spillcam from PBS.